In northern Germany, we greet each other with a simple "Moin!" - even when greeting someone, it's best to keep it short and sweet! My team and I look forward to welcoming you to the ibis Lübeck City hotel. 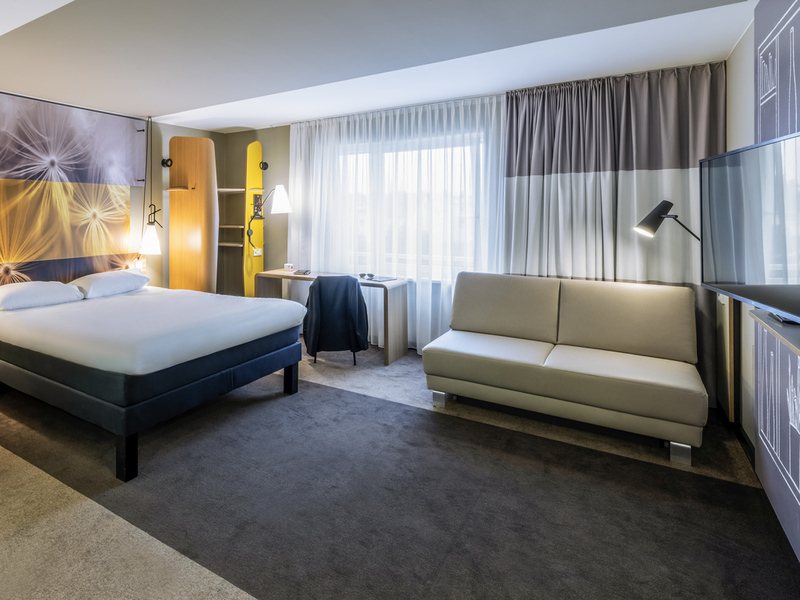 Experience modern comfort in a historic city at the ibis Lübeck City hotel. Our hotel has 85 air-conditioned and newly renovated rooms as well as free WIFI throughout the hotel. The medieval center of the Hanseatic city with its characteristic gabled hous es is a UNESCO world heritage site and is just a short walk from the hotel. The nearby Timmendorfer beach is perfect for a swim. From Lübeck's Travemunde port, there are ferry connections to both Scandinavia and Latvia. Your ibis Lübeck City hotel wishes you a pleasant stay: All 85 rooms are newly renovated, air conditioned and feature Sweet Bed by ibis beds for a good night's sleep. The rooms have a desk, free WIFI and TV with a wide range of Sky channels.